The Machine Set is the NEW quick and easy professional tool set to get the job done - with controllable and continuous carving flow..
maximum rotating speed up to 7000RPM providing ultra strong cutting power with low noise, you can use it at home. For the tradesman or the weekend woodworker, the Premium Lathe Set is designed to give you greater power and accuracy. Even the hardest woods are no problem as the Lathe set has plenty of power. It is suitable to the Prayer beads in round shape, olive shape and un-regular shapes or special shapes. -Holing depth can be regulated and adjustment. Note: US or EU plug will be packed according to country of order. 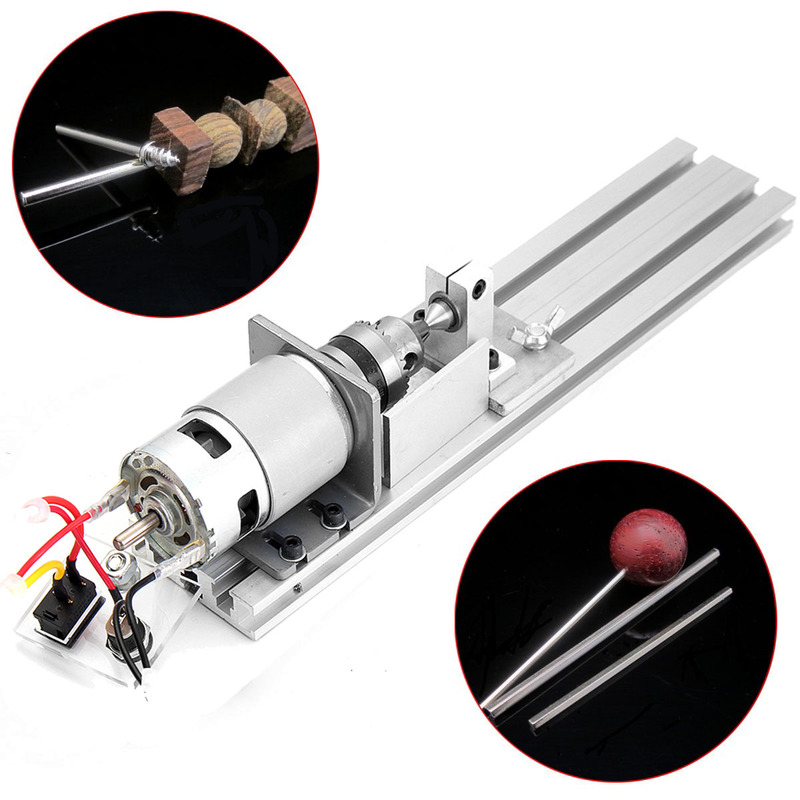 The Powerful Mini Lathe is extremely easy and safe to use. Parcel arrived Very quickly, the machine is made with high quality, good centering, quiet. The power supply but sometimes when the 24 Volt light up two lights 24 V and 20 V machine increase momentum over estimated. Just what i needed! It's just the right tool for the right price. дошел goods. thank you seller! Buen motor para lo que quiero esta bien, aunque su herramientas adicionales no muy buenas.